“Our new alliance with the RTA is a natural step toward establishing GSCG’s recognition as a global leader in stem cell medicine. 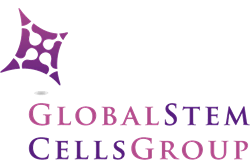 This is a perfect fit for us, as Global Stem Cells Group shares the RTA’s focus on high standards and transparency, especially when it comes to patient safety and advancing the field of stem cell medicine.” said Global Stem Cells Group CEO Benito Novas. “We are very pleased to have this alliance.Our goal is to provide the highest level of transparency and oversight for the industry. Working with Global will allow us to have a direct and dramatic impact on physician training. ” said David Audley, General Secretary and Chair of the RTA.